Mount (Mt) Binser (1859m) from the head of Lower Farm Stream. Spaniard Grass (Aciphylla sp. 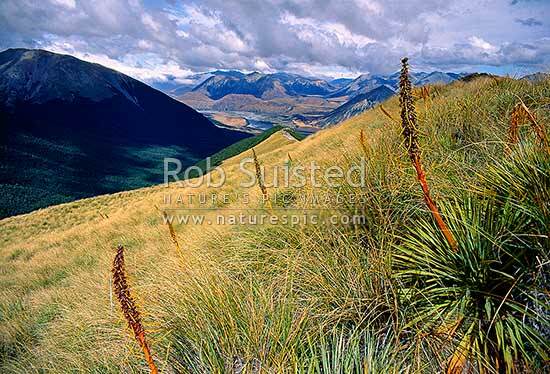 ), Arthur's Pass National Park, Selwyn District, Canterbury Region, New Zealand (NZ), stock photo.